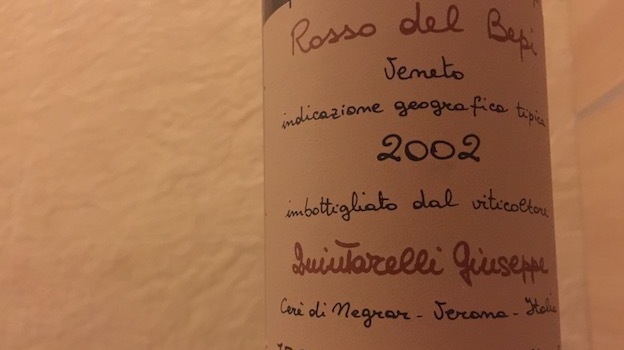 In what he deemed to be poor vintages, or simply when the Amarone wasn’t up to his exacting standards, Giuseppe Quintarelli declassified his Amarone into the ‘Rosso del Bepi’ label. Don’t be fooled by the label, though. Quintarelli’s talent and passion were such that his declassified bottlings were often better than many other producers’ top wines. And so it is with the magnificent 2002 Quintarelli Veneto Rosso Del Bepi, an absolutely marvelous wine that is a paragon of balance and harmony (and much more successful than the somewhat disappointing 2005 Rosso del Bepi). Rich, ripe red berry and sweet spice aromas and flavors are complicated by hints of raisins, figs, milk chocolate and faded violets. The 2002 boasts noteworthy freshness for such a luscious wine, with a long, velvety finish and suave tannins. It is another work of art from the master of Amarone. 94/Drinking window: 2017-2026.